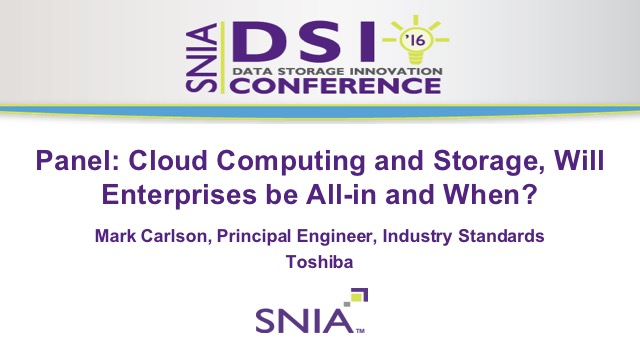 Panel: Cloud Computing and Storage, Will Enterprises be All-in and When? Cloud Computing and Storage/Data is maturing but where are Enterprises in the adoption of the cloud? Are they increasingly adopting public cloud? Are they setting up their own private clouds? How successful are they in doing so? This panel will discuss the issues these customers are facing and how various products, services and data management techniques are addressing those issues. Title: Panel: Cloud Computing and Storage, Will Enterprises be All-in and When?